The High Roller Mini Top Hat is a made to order, hand decorated mini hat. It draws inspiration from the fun and imagery of Las Vegas and casinos. 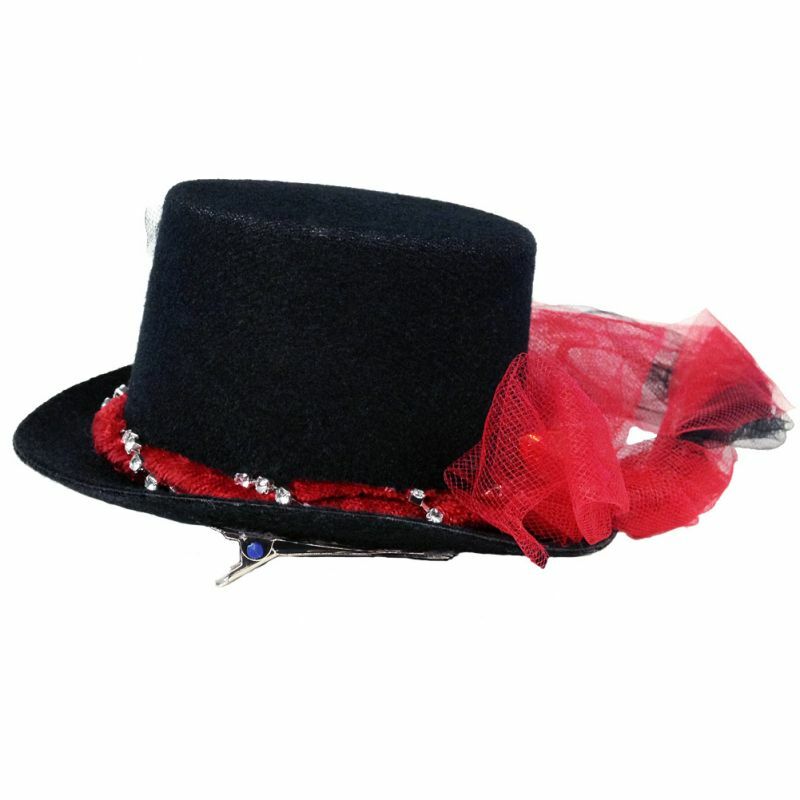 The brim of the hard black felt hat is decorated with red faux fur. This fascinator is sure to get you noticed during any event. Great for fans of Las Vegas, gambling, card games, and casinos. The hat fastens to your head with two hair clips. 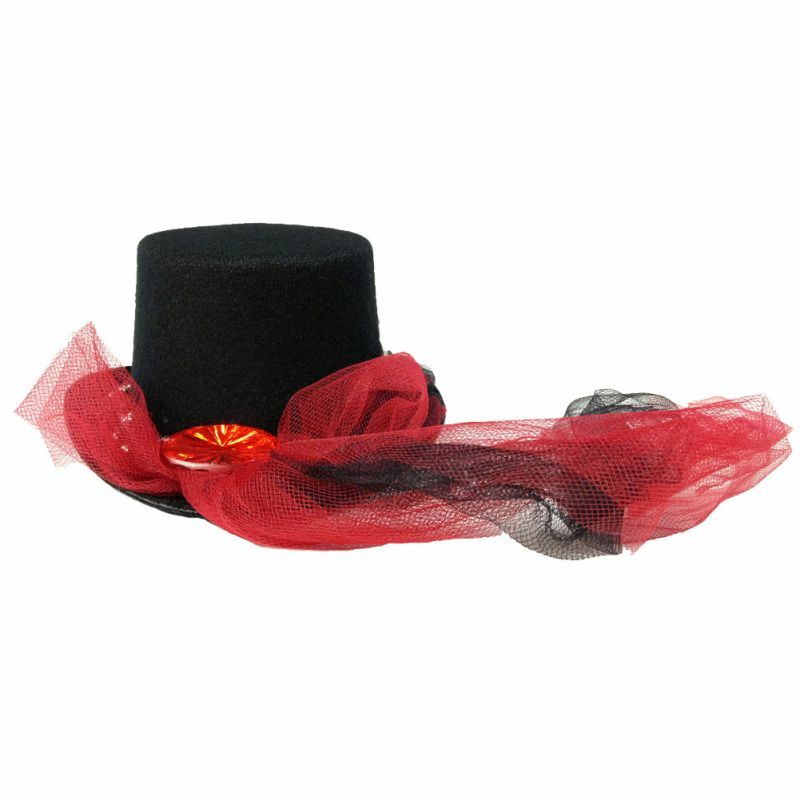 The High Roller Mini Top Hat is a made to order, hand decorated mini hat. It draws inspiration from the fun and imagery of Las Vegas and casinos. 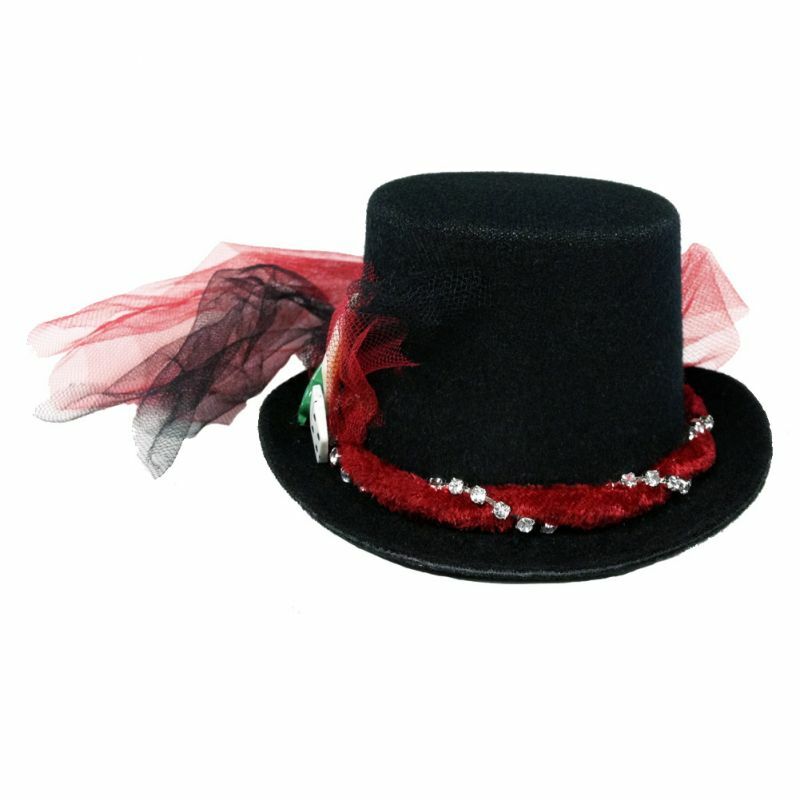 The brim of the hard black felt hat is decorated with red faux fir and rhinestones. 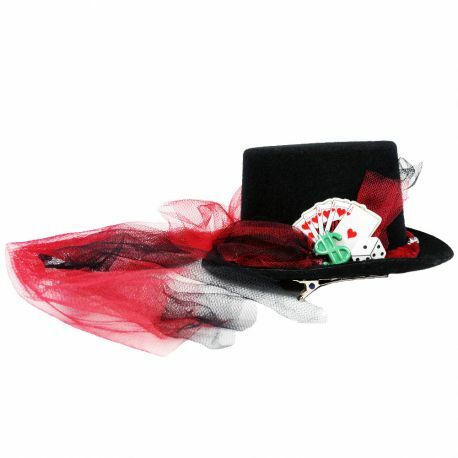 Red and black tulle adorns the back of the hat along with a red faux amethyst. Finally, a decorative poker card themed model enhances the side of the hat. This fascinator is sure to get you noticed during any event. Great for fans of Las Vegas, gambling, card games, and casinos. 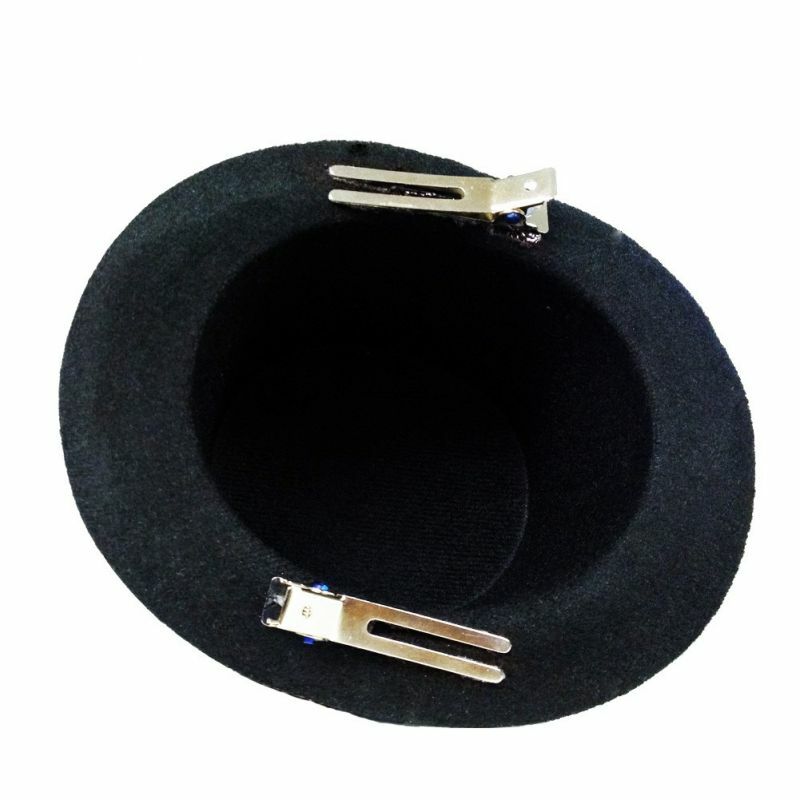 The hat fastens to your head with two hair clips.